Cook, a school nurse who is covered through New Hampshire's state employee health plan, found that choosing a certain facility scored her a $50 check in the mail. She then used the website again to shop for a series of lab tests. "For a while there, I was getting a $25 check every few weeks," said Cook. The checks represented a share of the cost savings that resulted from her selections. Paid? To get a test? It's part of a strategy to rein in health care spending by steering patients to the most cost-effective providers for non-emergency care. "If insurance plans were serious about saving money, they would have been doing this stuff years ago," said Josh Archambault, a senior fellow at the Foundation for Government Accountability, a limited-government advocacy group based in Naples, Florida. 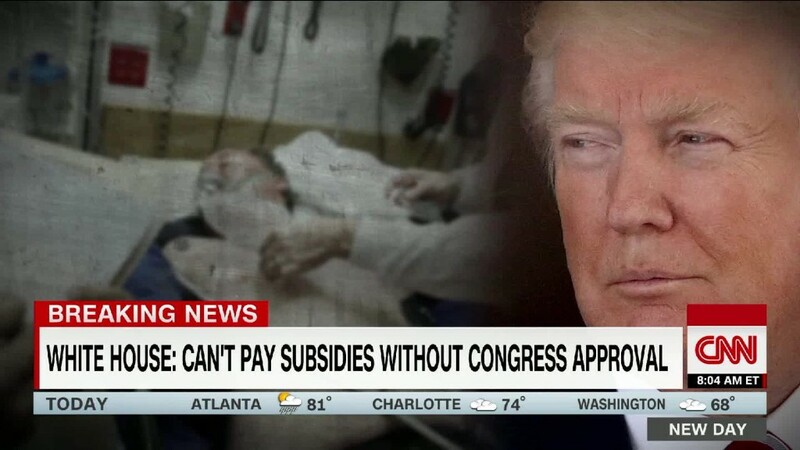 "These are not crazy ideas," said David Asch, professor of medicine, medical ethics and health policy at the Penn Medicine Center for Health Care Innovation in Philadelphia. But it's hard to get consumers to change behavior — and curbing health care spending is an even bigger task. Shopping incentives, he warned, "might be less effective than you think." Yet de Brantes predicts only modest savings: "Ideally, transparency is about stopping folks from continuously charging more." "When your plan members have 'skin in the game,' they have an incentive to consider the overall cost to the plan," said Catherine Keane, deputy commissioner of administrative services in New Hampshire. She credits the incentives with leading to millions of dollars in savings each year. Several states require insurers or medical providers to provide cost estimates upon patients' requests, although studies have found that information can still be hard to access. For example, Vitals, the company that runs the program Cook uses, and Healthcare Bluebook in Nashville offer employers — for a fee — comparative shopping gizmos that harness medical cost information from claims data. Maine's law, adopted last year, requires insurers that sell coverage to small businesses to offer financial incentives — such as gift cards, discounts on deductibles or direct payments — to encourage patients, starting in 2019, to shop around. A second and possibly more controversial provision also kicks in next year, requiring insurers, except HMOs, to allow patients to go out-of-network for care if they can find comparable services for less than the average price insurers pay in-network. "Mathematically, that just doesn't work" because out-of-network charges are likely to be far higher than negotiated in-network rates, said Joe Letnaunchyn, president and CEO of the West Virginia Hospital Association. Not necessarily, counters the bill's sponsor, delegate Eric Householder. "The biggest thing lacking right now is health care choice because we're limited to our in-network providers," said the Republican from the Martinsburg area. Shopping for health care faces other challenges. For one thing, much of medical care is not "shoppable," meaning it falls in the category of emergency services. But things such as blood tests, imaging exams, cancer screening tests and some drugs that are administered in doctor's offices are fair game. "The price differences are so substantial it's actually scary," said Heyward Donigan, CEO of Vitals. Another challenge is the belief by some consumers that higher prices mean higher quality, which studies don't bear out. Kentucky state spokeswoman Jenny Goins said only 52% of eligible employees looked at the shopping site last year — and, of those, slightly more than half chose a less expensive option. The state rolled out the payments for shopping around — and a website to look for best prices — in 2010. But participation didn't really start to take off until 2014, when state employees began facing an annual deductible, said Deputy Commissioner Keane. "We do know providers are calling and asking, 'How do I get my name on that list' [of cost-effective providers]?" said Kentucky spokeswoman Goins. "The only way they can do that is to negotiate."